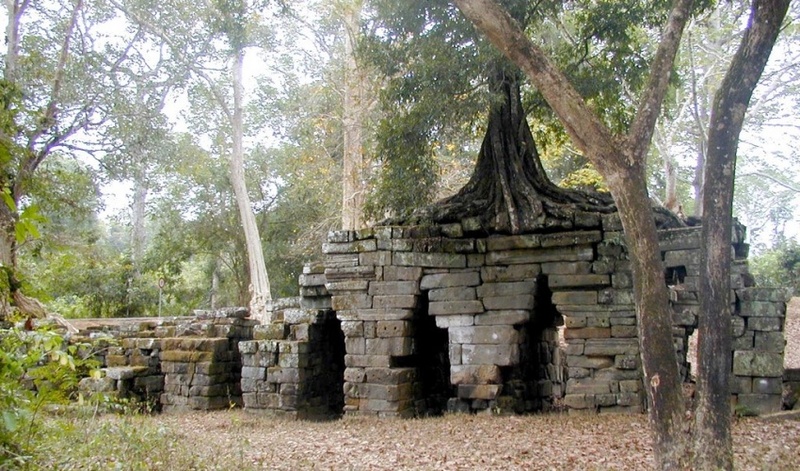 Spean Thma is an ancient stone bridge that used to cross the Siem Reap River. 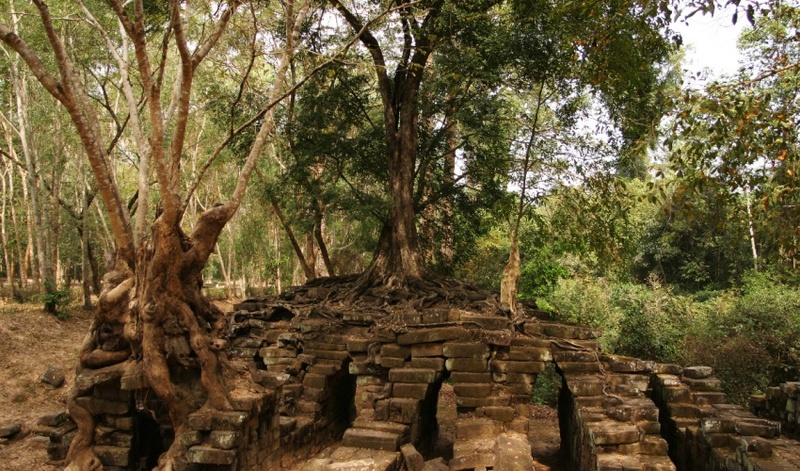 Since the bridge’s construction, the river has changed its course. 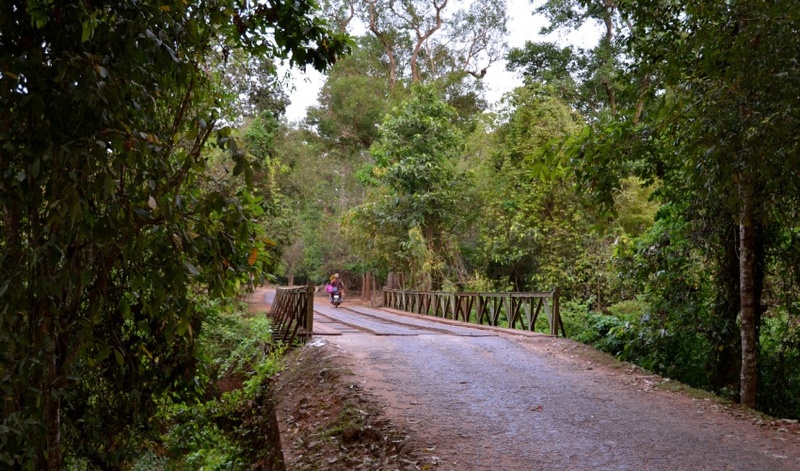 The Siem Reap River now flows around the bridge, possibly a result of the sediment build-up caused by the bridge’s support pillars.In contemporary Khmer, the name Spean Thma means “stone bridge”. 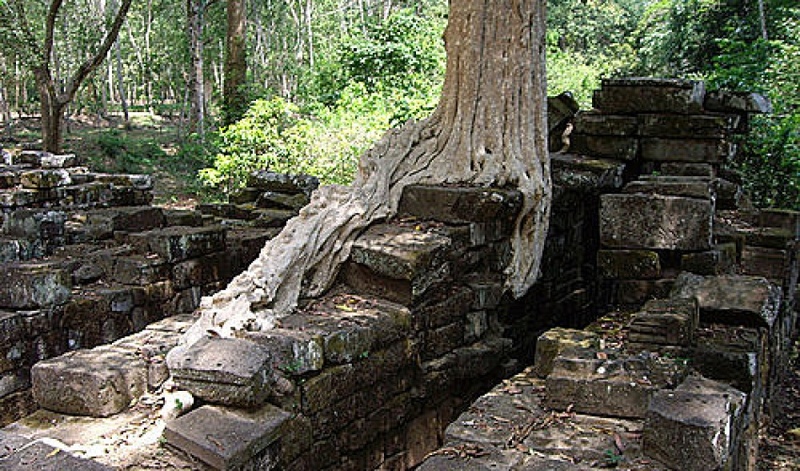 The bridge was erected sometime in the 16th century, also known as the post-Angkor period. 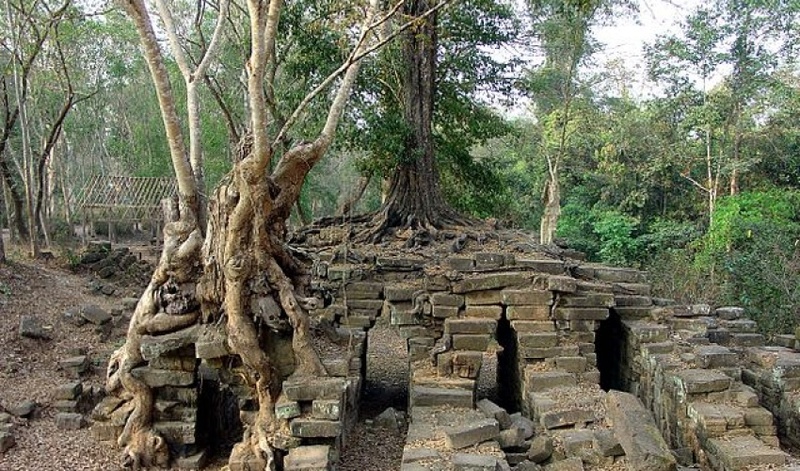 Archeologists have discovered several Angkor-period stone blocks in the framework of Spean Thma. 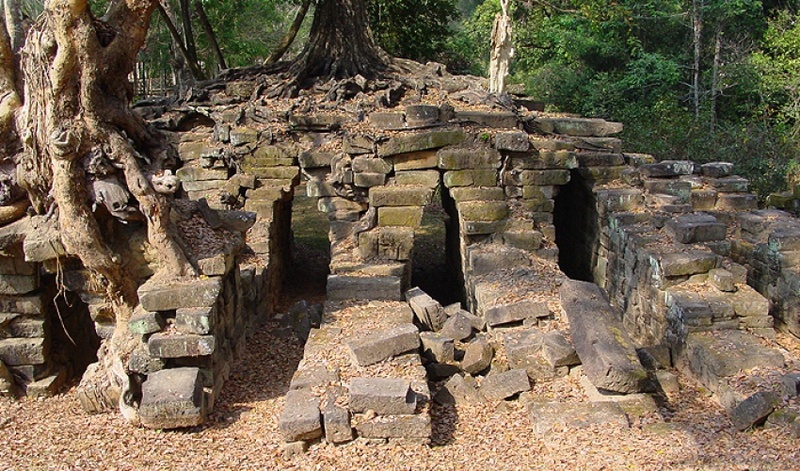 This has led them to believe that defunct temples were probably disassembled to construct Spean Thma. Spean Thma is made up of 14 narrow arches. 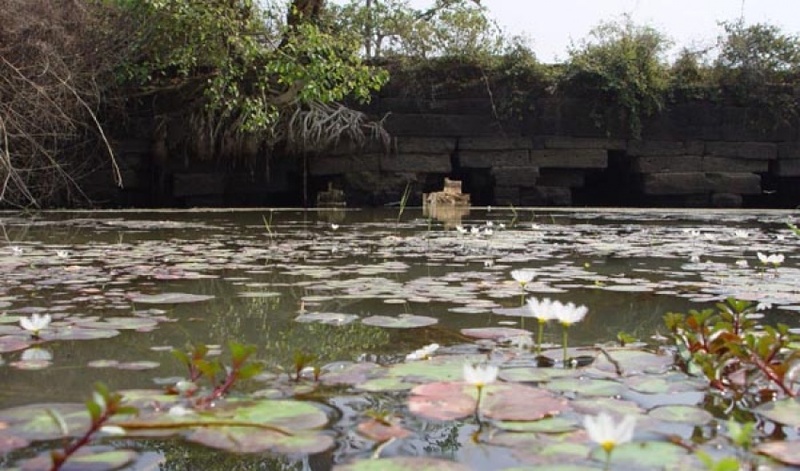 These arches were able to bear heavy loads, but their nearness to one another may’ve obstructed the Siem Reap River, causing it to changes its course. What good is a bridge if the river doesn’t stay in one place?Spean Thma is not a popular temple destination. 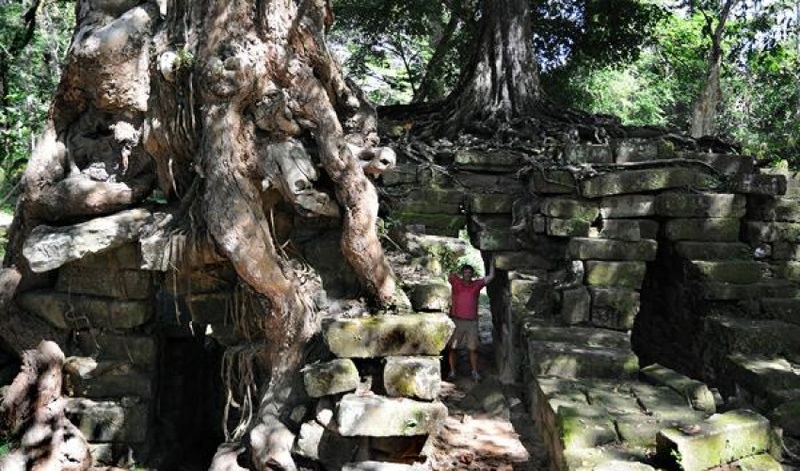 Most Angkor itineraries will not include a visit to this ancient bridge. 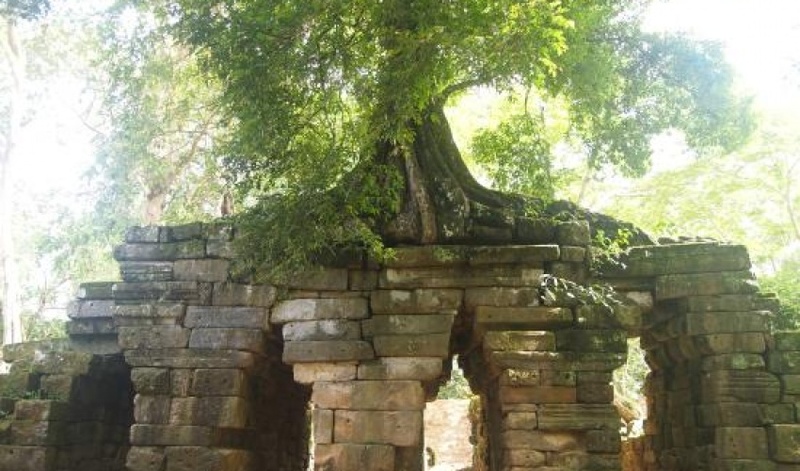 If you are an Angkor enthusiast, or are planning on spending several weeks in Angkor, a visit to Spean Thma will nicely offset some of the more grand and touristed temples throughout Angkor.